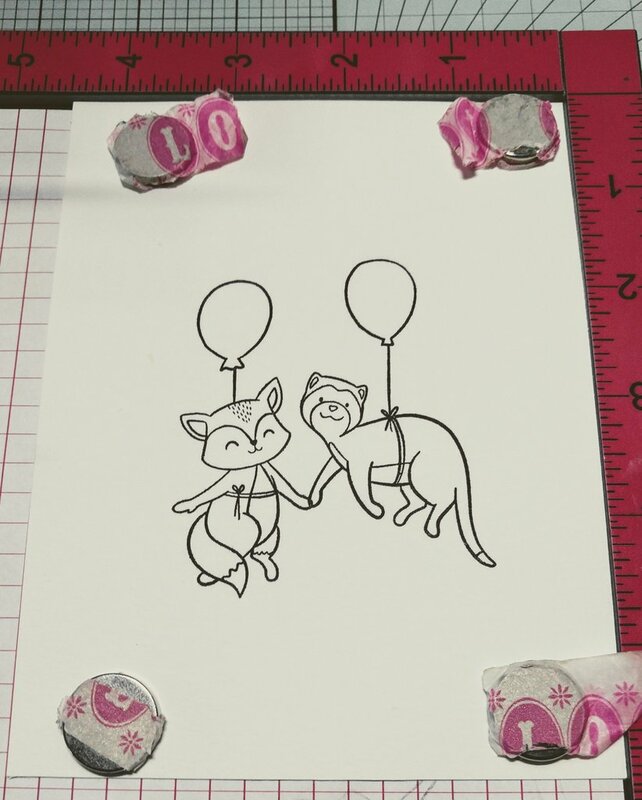 Today I’m making a card using the Fox and Ferret stamps of our AirLift Set. 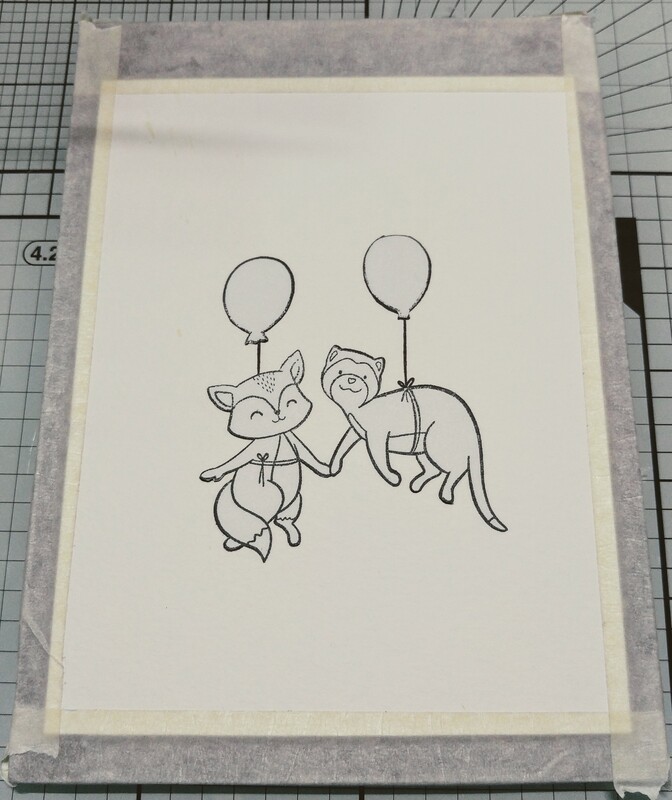 First I stamped the characters on Canson XL ColdPress 140lb watercolor paper, using Ranger Archival black ink. 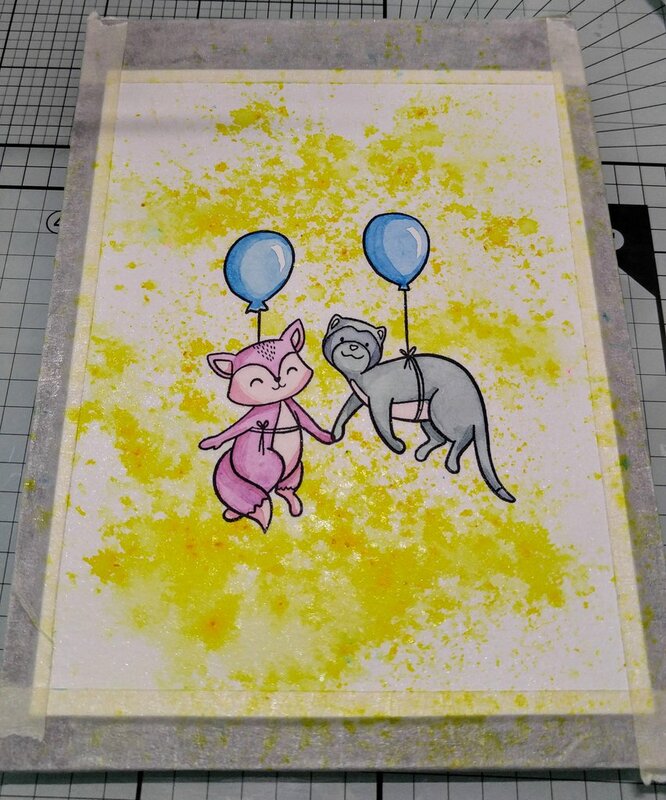 I masked off both images and the balloons using Inkadoo Mask Paper. 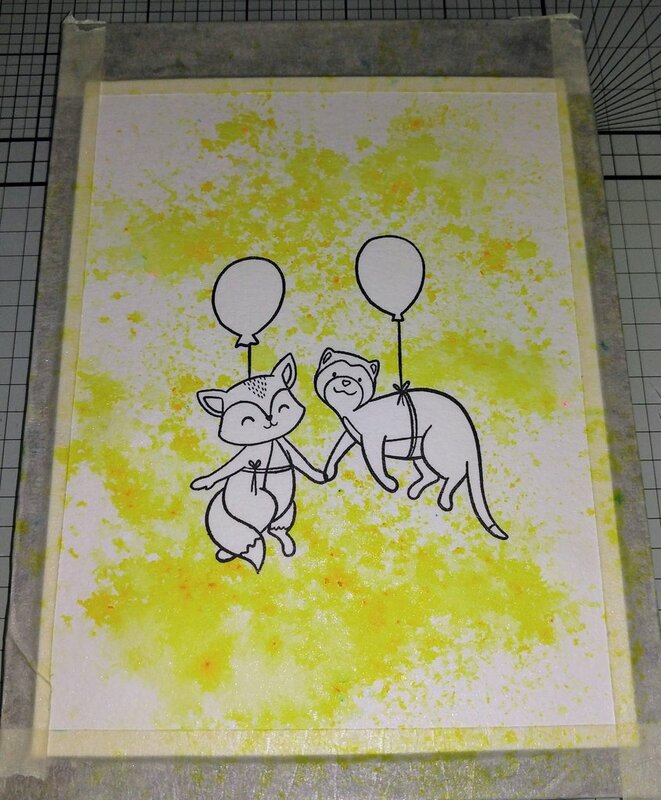 I sprinkled Ken Olivers Color Burst in Lemon Yellow and then spritzed with water. After heating that dry, I sprayed the entire panel with Rangers Perfect Pearls using my Ranger Mini Mister. After taking off the masks, I painted the critters using Sennelier Watercolors and a Number 8 Silver Black Velvet brush. 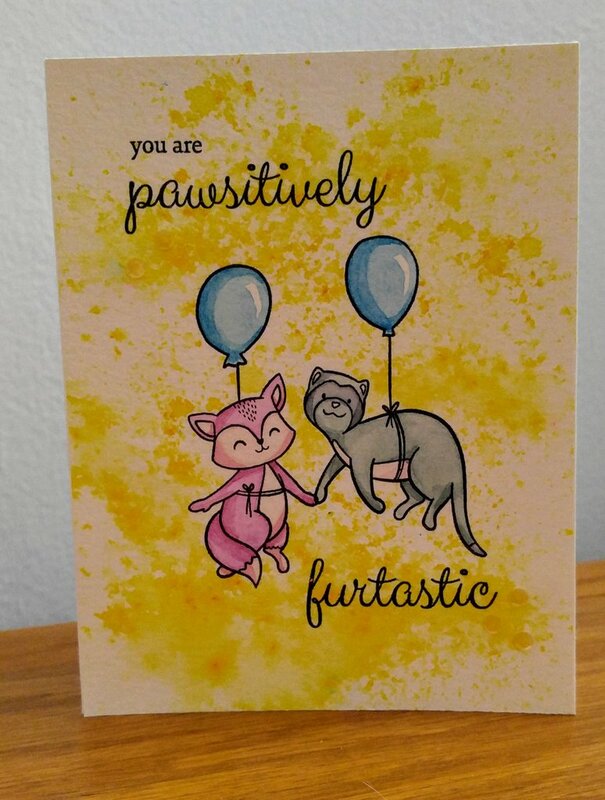 I used Blues, Greys, and Pinks. 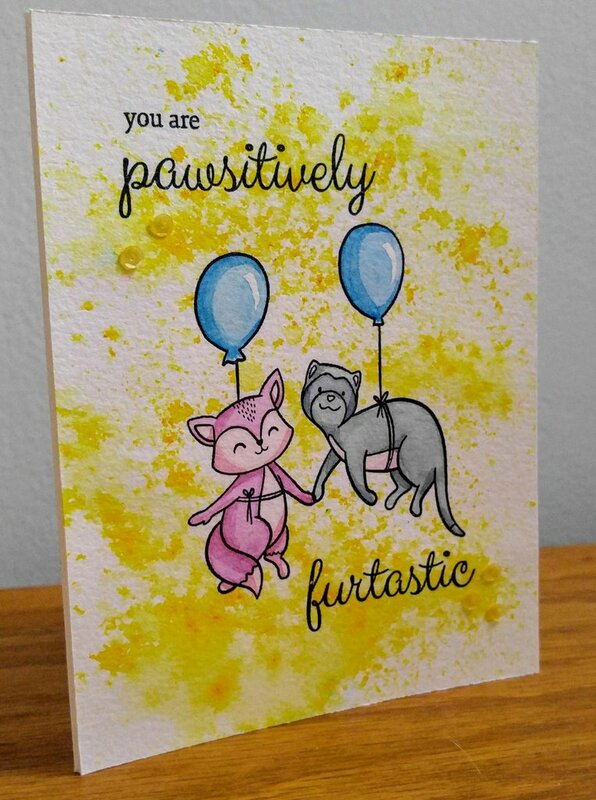 After everything dried, I stamped the sentiment from Simon Says Stamps Playful Kittens set. I added Pretty Pink Posh sequins in Lemon Meringue. Try it yourself. Stamp information is below.